All of us have stared out of our window at some point and thought, “I really should do something about my garden.” Some of us have even made it to the next step – actually getting out there and turning what was an eyesore into something much more pleasant. But it’s easy to start digging, chopping and planting away without any thought to what the final result will be. 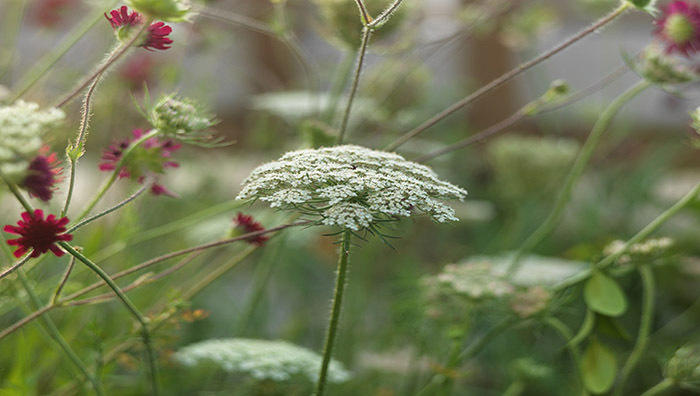 Even the most natural, wild and beautifully rustic gardens have often been meticulously planned, and planned by someone who knows exactly what they’re doing. That’s why we think it’s important to start any outdoor project with a garden design from a qualified designer. Yet when budgets and time are tight, the design and planning can sometimes be the first thing to be cut – which can lead to greater expense in the long run. Before you embark on your next outdoor project, here are six reasons to convince you to use a garden design and save yourself time and stress in the future. It’s very easy to start planting without considering each element and how they work together. But you’d never start decorating a room in your house without carefully thinking about whether it fits with your furniture, so why do the same with your garden? Using a comprehensive, professional garden design will mean your garden will look as good as your home because every element will have been carefully considered and planned (just as you’d do in your living room or bedrooms). One of the trickiest parts of designing outdoor spaces is being able to see the individual details and the whole picture at the same time, making sure everything fits together effectively. This is especially hard with gardens as plants and flowers will bloom at different times, giving your outdoor space a different appearance every season. With a good design, your garden will look cohesive and complete throughout the year, with each element (whether planting or landscaping) tying together seamlessly and giving a more pleasing overall effect. Unfortunately, not all of us have the benefit of a large garden or outdoor space to play with when it comes to design. Without some clever thinking, plants and decorative elements can end up looking cramped and unnecessarily ‘busy’. 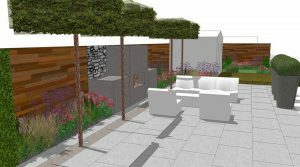 An intelligent garden design will help maximise the space in your garden, whatever size it is, by using effective planting and landscaping at the right scale. From dealing with steep slopes to experiments in vertical gardening, a smart garden design will make sure not even an inch of your space is wasted. What can look gorgeous in a catalogue can often be a lot harder to deal with in real life, whether that’s plants that want plenty of TLC or natural products that need constant treatment to prevent warping or splitting. By using a garden design, you can start to think about these maintenance issues much earlier on – whether that’s thinking about your own time and mobility in the future, or simply seasonal work that you’ll need to do. Considering it now means you’ll save cost (and your back!) in the future. Although all of us now have access to hundreds of garden products online, and plenty of inspiration from websites and magazines, it takes a certain skill to know how to put these together in unique, interesting and beautiful ways. A professional garden designer makes it their job to think differently and bring unique ideas to life, as well as shaping more fanciful notions into something manageable and cost-effective. 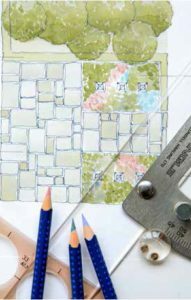 Working with a garden design means you can get your dreams down on paper – and make them into something realistic. A garden that looks good all year round is a wonderful thing, but a garden that looks good for the next 10 years is a thing of absolute beauty. Trends come and go, as does the weather, and finding the right combination of landscaping, paving, planting and decorative elements to stand the test of time is difficult. An effective garden design won’t just look great on the first day it’s finished – it’ll also look great for many years to come. Planning your outdoor space means thinking about what that sapling will look like as a fully-grown specimen, or how stone slabs will weather with age, so there are no nasty surprises in the future.